Texas Hunt Lodge offers a package service which provides 4 Star Bed and Breakfast style accommodations at our Hunt Lodge located on Lake Ingram/Guadalupe River as well as the finest Whitetail Hunts, North American Hunts, and Exotic Hunts found in Texas. 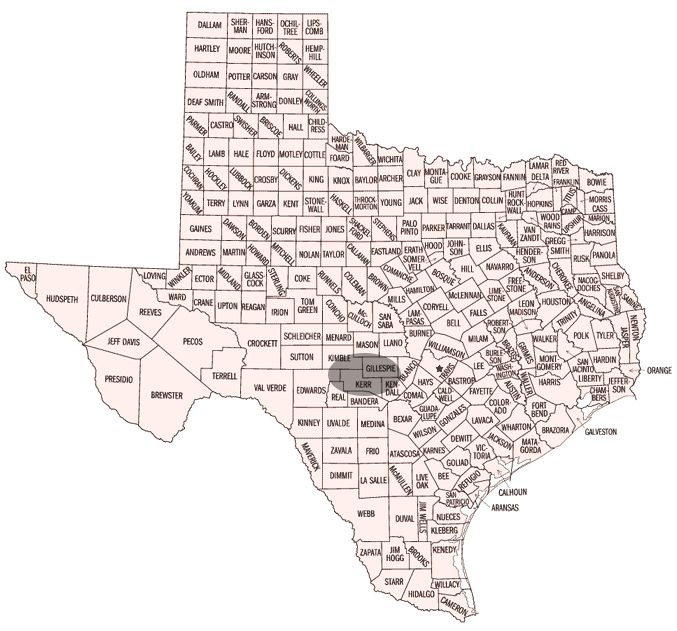 The ranches where we hunt are privately owned Game ranches all within 5 to 40 minutes drive of the Texas Hunt Lodge mainly in Kerr County, but also Gillespie and Kimble counties, Texas. From our premier Exotic Ranch and Whitetail Ranch, Rancho Viejo, to our 3000 acre Buffalo and Axis Ranch, White Cross Ranch, to a 5000 acre specialized Afghan Urial - Markhor ranch, we are currently hunting on 34 separate hunting ranches that boast over 70 species of Exotics and Texas Native animals. The Hunting product that we offer to our clients is Unparalleled, even for Africa Safari standards. From World Record Species including Trophy Axis Deer, Monster Whitetail Bucks, Trophy Fallow Deer, Texas Dall, Eland, World Record Elk and Red Stag, and Aoudad Sheep, we have the Exotic Hunt that you want...if you don't see a species of Exotic Game animal on our website which you would like to hunt, please let us know, and we're fairly confident that we can locate it for you. All hunts with Texas Hunt Lodge are fully guided, regardless of the ranch we take you to, and we hunt game by way of spot and stalk, safari style or still hunting...we love to hunt from our New High-Rack Trucks like you would in Africa! The hunts are fair-chase on our network of large ranches in the Texas Hill Country. All Methods of Hunting are available: Rifle, Bow, Handgun, Crossbow, Airgun or Black powder is welcomed. Our Hunts are GUARANTEED...if we don't put you on the game animal that you've booked, then you will not pay the trophy fee from your Hunt Package price.